Making it happen at the CommerceAccelerator bootcamp! We’re working hard on transforming Sanoma for a more digital future. Boosting innovation is key and includes developing new digital business lines and learning new skills that we can use across the company. For this purpose we have created the Innovation Accelerators and the CommerceAccelerator is the third in the series so far. We see three domains of opportunity for the future Sanoma. Firstly, we want to provide information and entertainment to consumers across multiple channels. Secondly we want to help advertisers with powerful marketing solutions based on our reach to consumers and insights into them. And thirdly, we want to help to help pupils and teachers to achieve great learning outcomes using new learning solutions. In Amsterdam last week we ran the bootcamp for the CommerceAccelerator – focusing on the advertising domain mentioned above. The top 5 ideas and their owners were selected in a live webinar to build prototypes of their concepts. This followed an inspiring program of ideation and training, of building and testing ideas, which started out with about 220 participants from across Sanoma and included about 70 university students. We had an interesting and varied mix of talent amongst the team leaders, including people from business development, sales, product management, television and a student team from Tampere. I like it a lot when we have such a diversity of experience and skills at the bootcamp: it makes for a rich and exciting experience! I love the bootcamps. They are practical and fast paced. They’re very demanding but also a lot of fun. It’s great to have teams of talented and driven people working on building prototypes and testing them with real customers. Making it happen! I believe in learning by doing and this is a very concrete proof of that! We were joined by Sanoma’s CEO Harri-Pekka Kaukonen, CHRO Jackie Cuthbert and the CEO of Sanoma Learning Jacques Eijkens. They are all strong supporters of the accelerators. We appreciated that they joined us; they are all super-busy driving the transformation of Sanoma, but it is brilliant that they make the time to support the accelerators. A great show of leadership! Listening with intent to the pitches. Amongst others, Harri-Pekka Kaukonen on the front row, and Jackie Cuthbert on the back row. At the end of the day on Thursday each of the teams demonstrated their prototypes. They included i) a contextual and sentimental targeting service; ii) a pre-targeting service; iii) a mobile advertising service iv) a gamified service to engage viewers during TV commercial breaks and v) a shopping service bridging the real and virtual worlds. Some of the testing with customers has been quite brilliant and helped to underpin the commercial promise of the ideas. Great validation! (I would like to show the promo video’s here, but feel it’s a bit premature at this stage). I really like and respect the passion and enthusiasm of the teams and am proud of how they have performed and behaved! This counts for the idea owners and the talented professionals from MakerLab. And also for Lassi Kurkijärvi (@lassi, Director at Sanoma) and Joris van Heukelom (@jorisheuk, Partner at Makerstreet) who once again showed inspiring leadership throughout the program. Great job everyone! We have promised the teams that we will inform them how we would like to proceed by the end of next week. There are three alternatives: i) create a new venture ii) develop within the business or iii) not pursue the opportunity. I am confident we will pursue some of these concepts and will engage with the key stakeholders to ensure that we will be able to bring them to market quickly! The world turns of course, and we are working on developing the next accelerator which will focus on 4G and video and we aim to start in Q1 next year. With the launch of our Innovation Lab in January (as part of the new unit Sanoma Digital), which will be led by our mobile superhero Lassi Kurkijärvi, the Innovation Accelerators have become a core element of our transformation program. I see the establishment of the Innovation Lab as a great validation of the success of the accelerators we have run so far. I’ve been happy about the high level of support that we have won from top management and young talent. What I would like to develop further in upcoming accelerators is to secure more engagement from middle managers. I believe this would help us in transforming the core business. If anyone has good ideas about how to achieve this, please drop me a line! This entry was posted in Accelerator, Advertising, Commerce, CommerceAccelerator, Innovation, Open Innovation, Sanoma, SanomaDigital and tagged accelerator, Harri-Pekka Kaukonen, Innovation, Sanoma, Sanoma Digital on 13/12/2013 by johnrichardmartin. 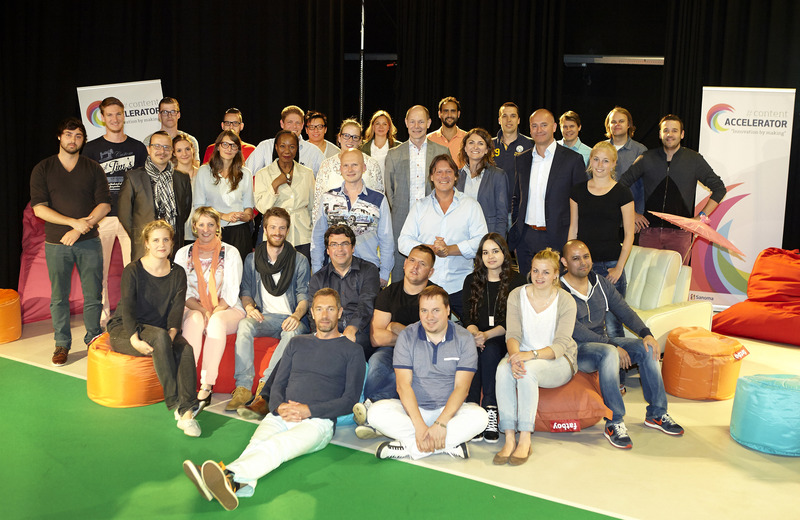 Mid-September we kicked off the #CommerceAccelerator. 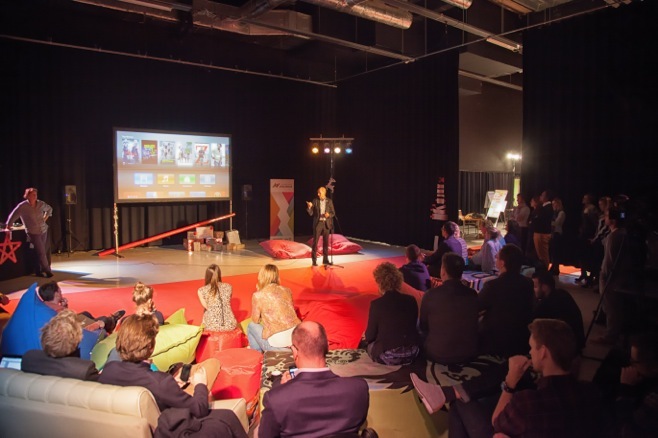 This is the third in the series of Innovation Accelerators at Sanoma. We have two big goals for the program: i) to build new business lines and ii) to learn new skills. As a direct result of the first two accelerators we have established six new start-ups and by the end of this accelerator almost 450 of our most talented employees will have learned new skills about Lean Innovation. We believe this will boost our capability to succeed in the overall digital transformation of the company. This accelerator has two new angles. Firstly, we are focusing on “enabling commerce” rather than creating and distributing content: how can we use our ability to inspire, engage and reach consumers to enable commerce? And secondly we have opened up the process to include about 70 students from 6 European universities, to bring an extra richness of talent and ideas. This has given a great new twist to the proceedings. Previously we have selected the top ten ideas and their owners to build pro-MVPs. Tomorrow evening is the moment of truth! In a live webinar we will select the top five that will be given the opportunity to go to bootcamp. At the bootcamp we will be build working prototypes and evaluate the potential of both the concept and idea owner to take the next step in our intrapreneurship program and establish a new venture at Sanoma. Places at bootcamp are highly coveted and are a ticket to build your idea and show your talent at our company. Three of the five winners will be chosen by the public vote with the final two positions awarded by a team of experts (the “wildcards”). We took a first view on the ten competitors in the expert team last week and made a preliminary ranking for the wildcards. The experts tend to use the wildcards to strengthen alignment with the overall strategic goals of Sanoma. It was really great to see the pitches and concepts – it’s going to be a hard fight for the places tomorrow! In previous accelerators it’s been remarkable to notice how similar the voting of the wisdom of the crowd and the experts has been. In some ways that gives a certain level of confidence that we are making the best choices. (In others, I wonder if I could save some money on the experts :-)). 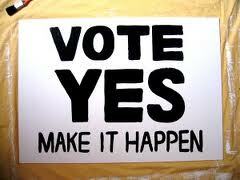 There are three key criteria that will be considered when voting. 1. Strategic fit with Sanoma. 2. Ability to operate. 3. Financial attractiveness. Most of the ideas tend to score highly on the first two points, partly due to the guidance we give during the process and partly because of the experience of the participants. My biggest question usually relates to the financial attractiveness of the idea – particularly with regard to scale. What are the ideas that could really succeed at scale? Last week we reviewed the first quarter performance of the new ventures Hubly and SpotandShop that we created from the #ContentAccelerator. I was truly impressed by the progress Birgit and Nikky have made, including first sales already! It’s really brilliant how they have taken the opportunity and brought it to life. Respect! I hope this is a sign of what is to come from the #CommerceAccelerator. So, I’m excited about the outcome of tomorrow’s voting. Good luck to the ten teams competing and thanks to everyone who joined the program. 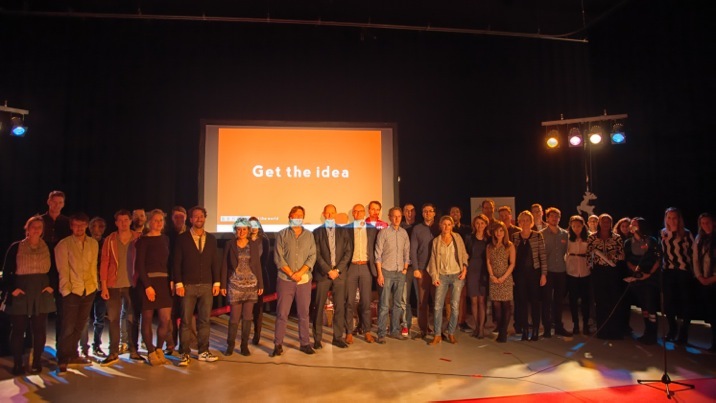 It will be great to see the winners at bootcamp in Amsterdam during the week of 9 December! Looking forward >>. I’m interested to hear how other corporations boost innovation, or any feedback or comments you have on our program – feel free to drop me a line! This entry was posted in Advertising, Commerce, Consumer Media, Digital, E-commerce, Innovation, Open Innovation, Sanoma, SanomaDigital, venturing and tagged accelerator, Amsterdam, Bootcamp, Digital transformation, Finland, Innovation, Netherlands, Open Innovation, Sanoma, SanomaDigital on 01/12/2013 by johnrichardmartin. 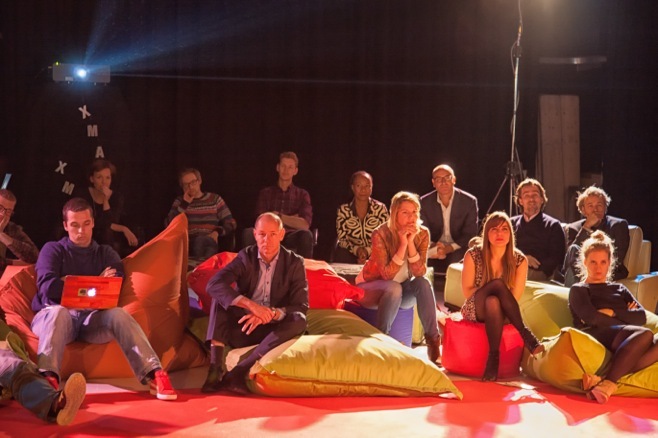 How does an innovation accelerator work at Sanoma? In my previous post I elaborated on why Sanoma is sponsoring intrapreneurship and the role of innovation accelerators in that. This time I write about how an accelerator works at Sanoma. The approach is quite simple. It’s driven by our goals of i) developing new business lines and ii) training new skills that can be used in supporting the transformation of the core. Pitch training. How to explain your idea in a simple way in just one minute? Thanks for the photo Lassi. 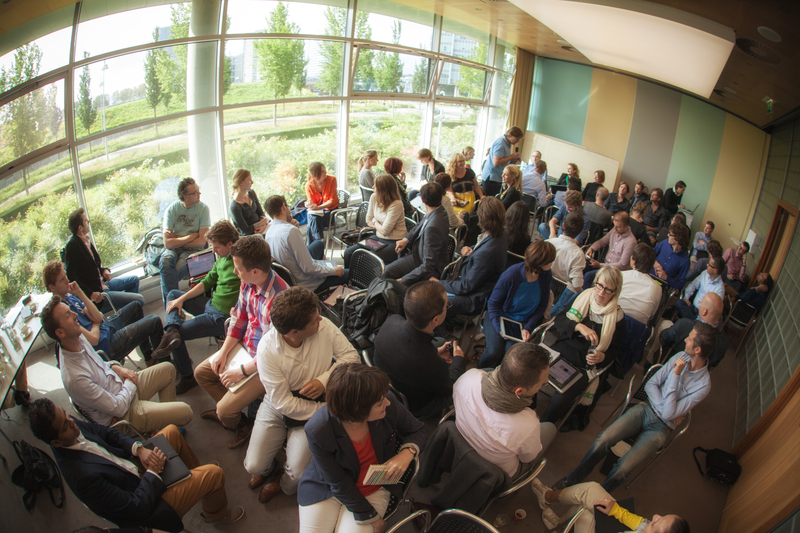 We start by recruiting about 150 talents from across our businesses in Europe, both media and learning. 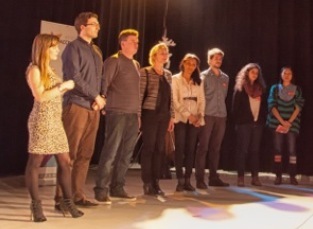 In the first program, nominations were made by management. This was good but left a lot of pent-up demand. In the second program we allowed (self)-nomination, which brought an additional richness of talent. Participants are invited to a kick-off at one of our main digital hubs: Amsterdam, Helsinki or Budapest. 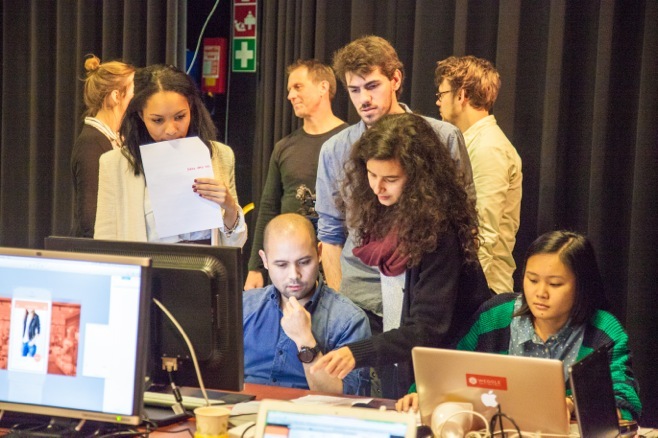 The main purpose of this is to inspire and excite the teams – our program leaders Lassi Kurkijärvi (Director at Sanoma) and Joris van Heukelom (Partner at Makerstreet) are truly excellent at this. People like these events a lot. We even had one aerophobic guest take the bus from Gdansk to Amsterdam to join us this Spring! Next we run an intensive seven-week ideation and training program. Participants are asked to generate about ten ideas on a certain area. These ideas are further developed through an active learning experience, punctuated by a weekly webinar. They learn new skills on digital in general and “lean” development methods in particular. (I learned a lot too!) Each week there are practical assignments about building, testing and improving the ideas. The business model canvas and creating and testing minimum viable products are really useful tools on this journey. We don’t ask them to create a powerpoint deck. We ask them to test their ideas with customers. It’s liberating (not only to me). At the end of this part of the program we select five leaders and ideas that will go to bootcamp to be built as prototypes. Selection is by a combination of the wisdom of the crowd and a Dragon’s Den. Tickets to the bootcamp are highly coveted. People get excited about it. The competitive element brings an extra edge. If you want to win, you have to compete. Your idea has to be great and you have to sell it and yourself convincingly. At the four day bootcamp we build working prototypes with the selected teams, together with external designers and developers. The pace is fast. It’s demanding. Customer testing continues. Energy and enthusiasm fill the room. By the end of the bootcamp we have created five prototypes. The Future Media Team of Sanoma then proposes to CEO Harri-Pekka Kaukonen, which of the concepts to turn into new ventures. The first program, launched in Autumn last year, was the #mobileaccelerator. We see a significant shift of media consumption to mobile devices. In many cases we have been very successful in creating mobile versions of core brands. For example, about 2/3 of the usage of NU.nl, the strongest media brand in The Netherlands, is now mobile. Mobile revenues at Sanoma are growing fast. We wanted to give an additional boost to “mobilizing Sanoma”. The second program, launched in March this year and currently running, is the #contentaccelerator. Here we are focusing on new ways of consuming content, on cross-media concepts, and on new learning content. Next week we will select the five winning concepts that will be sent to the #contentaccelerator bootcamp. How have the accelerators performed? Both programs have gone further and better than my best hopes. Regarding the #mobileaccelerator – we measured engagement (critical to learning) and observed that it was both broad and deep – there was at least one person from Finland, The Netherlands, Learning, Belgium, Russia and Hungary (our biggest operations) on the leaderboard top-20 for both ideas and reputation. The content and facilitation of the program have been excellent. And we came a long way in a short time – from a blank page to 5 prototypes in 10 weeks and that’s basically unheard of at Sanoma. I’m really proud of how the teams performed. Four “mobile first” concepts have received funding as new ventures following the #mobileaccelerator. We seconded on average four people from their regular jobs to each venture for one year to take the concept to market launch. In this year they get funding and coaching. The #contentaccelerator is still underway, is going very well, but at this stage I can’t share too much about it. I daresay there will be some tweets about the bootcamp selection on Tuesday evening. What have we learned from the accelerators so far? On the positive side: there’s no shortage of ideas or talent or enthusiasm for innovation at Sanoma and we can move fast on innovation when we want to. From a development perspective: we sometimes have a skills gap and tools such as business model canvassing, lean development and testing MVPs, are very effective in helping to bridge the gap – we could make more use of them in the core business too. Also, we need to move faster, be more agile and to innovate closer to the customer. And we could sometimes value learning, experimentation and growth more highly and be more tolerant of risk and uncertainty. Actually, we see a lot of potential in areas where we should be able to make a positive change. Following posting: I will share our ideas for next steps with the program. This entry was posted in Consumer Media, Innovation, Learning, Sanoma and tagged accelerator, Innovation, Sanoma on 26/05/2013 by johnrichardmartin.